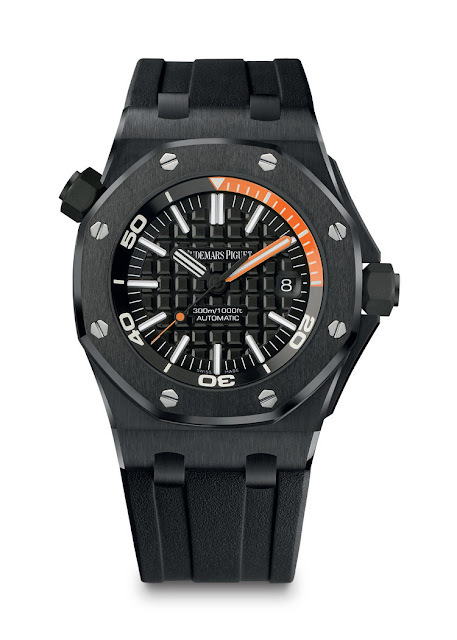 Resistant to the pressure sustained at depths of 300 metres, the selfwinding Royal Oak Offshore Diver from Audemars Piguet is fully compliant with the NIHS 92-11 (ISO6425) norm for sub aquatic use. The Offshore Diver appears this year for the first time with a case, bezel and easy-grip crowns all made of deep black high-tech ceramics. Machining this avant-garde material, around seven times harder than steel and which only diamonds can scratch, calls for the use of special machines and tools equipped with diamond-tipped milling-cutters. 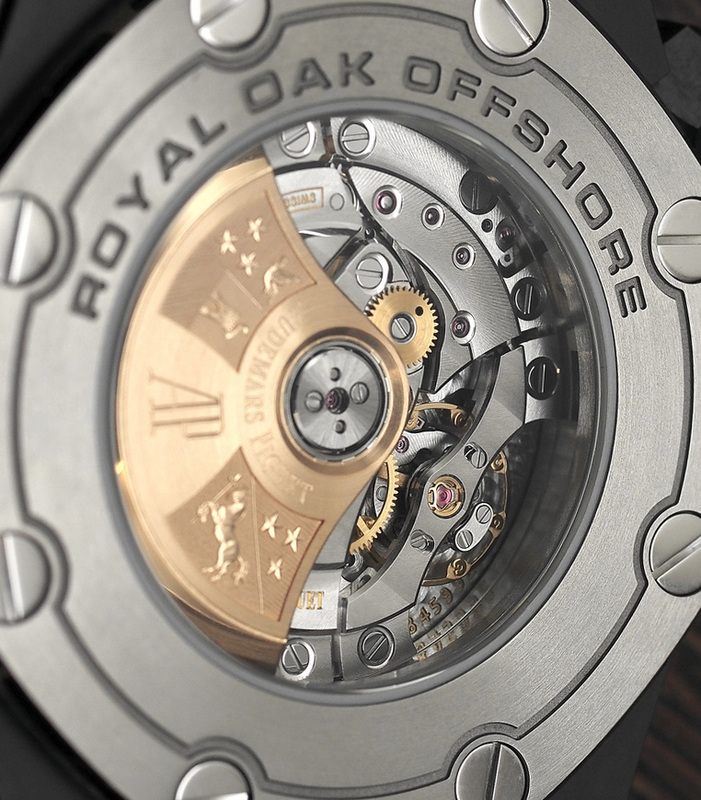 The case middle is treated to polished and satin-brushed finishes. 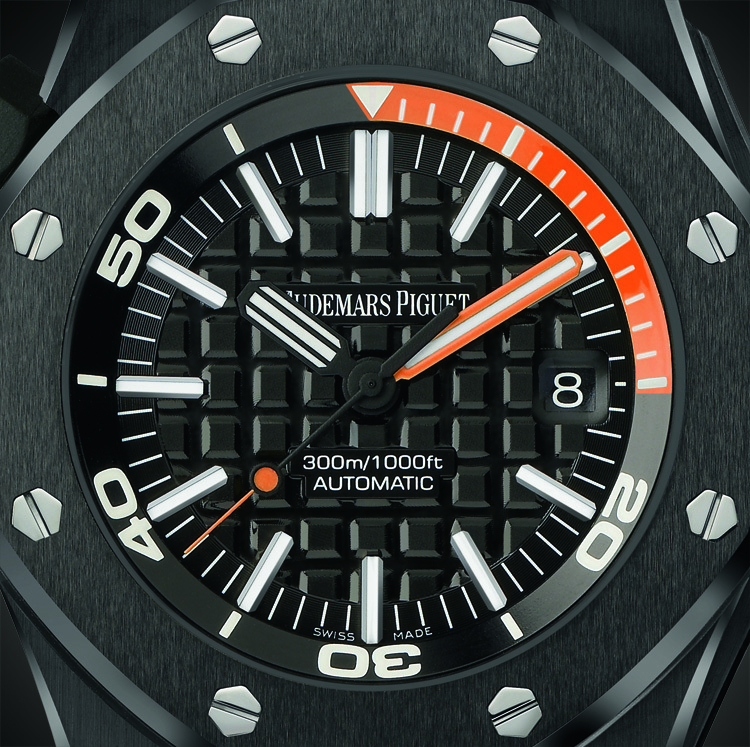 To improve the readability contrast in the ocean depths, for the first time its black dial bearing the traditional “Méga Tapisserie” pattern is fitted with a luminescent orange hand matching the diving scale appearing on the rotating inner bezel ring, which also features an orange zone between 12 and 3 o’clock. The rotating dive-time pre-selection device, unusually positioned inside the case, is technically more complex to make than a traditional unidirectional exterior rotating bezel. 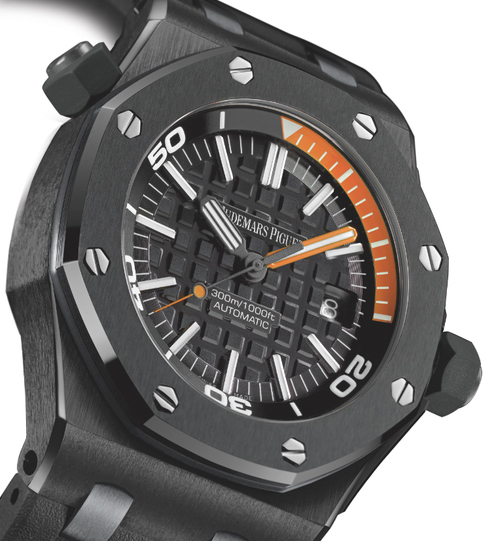 It offers the advantage of reducing the parallax error and protecting this element from shocks and aggressive external factors such as water, salt or grains of sand that might jam the bezel. 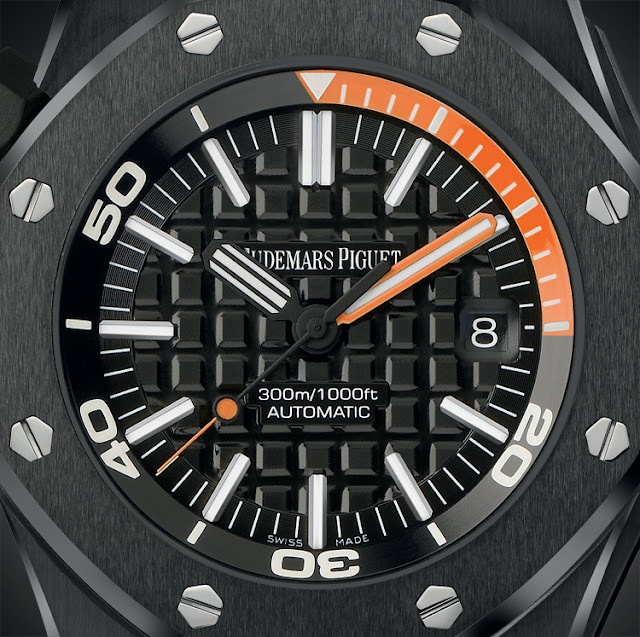 To adjust this dive-time indicator, Audemars Piguet has developed a mechanism enabling it to be controlled via a watertight external crown positioned at 10 o’clock along the side of the case middle. This system as a whole represents a significant safety feature since, once the crown has been screwed back in, the dive time cannot be inadvertently modified. Equipped with a system of innovative water tightness gaskets, it may be handled during immersion. 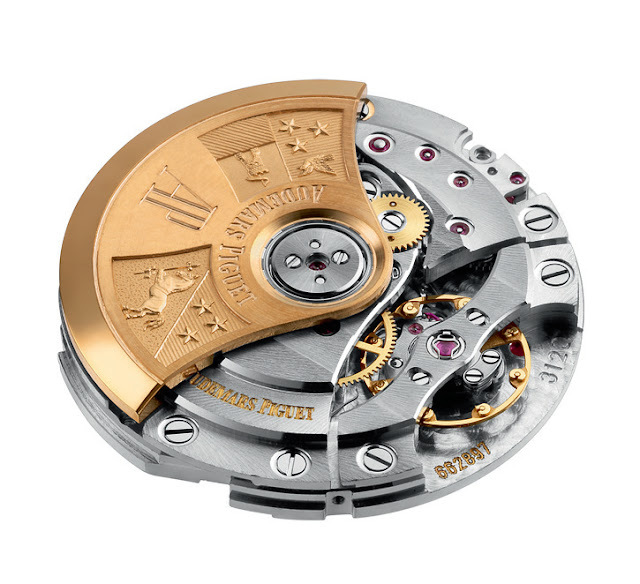 The same technology has been applied to the winding-crown. The Manufacture Audemars Piguet mechanical self winding Calibre 3120 may be observed through the titanium case-back fitted with a sapphire crystal revealing the 22-carat solid gold oscillating weight, along with some of the meticulously finished movement components including its balance beating at a rate of 21,600 vibrations per hour. The 42 mm case is worn on a rubber strap equipped with a titanium pin buckle.